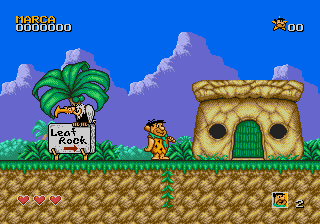 The Flintstones is an action platformer for the Sega Genesis. 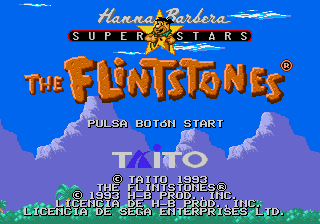 The game is based on a tv cartoon with the same title. 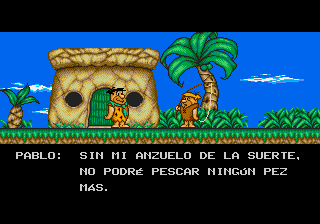 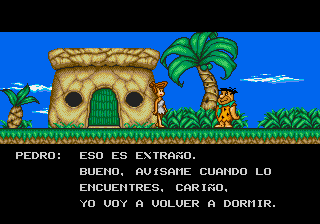 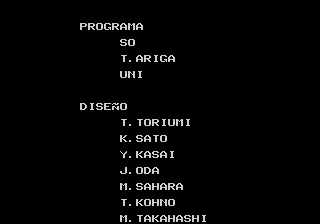 Translation to Spanish for “The Flintstones” for the Sega Genesis/Mega Drive.